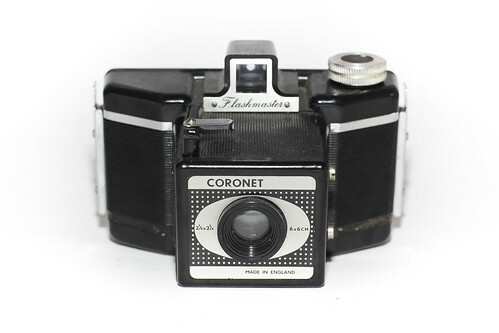 The Flashmaster is a circa-1954 camera from Coronet, with an angular bakelite body and eye-level viewing. The Flashmaster takes 6×6 cm exposures on 120 film. The body of the Flashmaster is shared by the Cadet, and the Coronet 6-6 is similar. This page was last edited on 23 August 2011, at 14:53.